Since 1932, three generations of the Barbieri family have produced traditional Italian foods that are minimally processed, preserving the integrity of the ingredients taste, texture and color. Their craftmanship comes from the tradition and philosophy to source out the best Italian ingredients at the peak of harvest, and working with the harvest within hours to create and present the crop at its best. Only the highest quality fresh tomatoes, only during each annual harvest. The tomatoes are guaranteed 100% Italian, mainly come from the Emilia countryside, and most of them from the sun-drenched fields a few km from the plant. Our items are small batch cooked in kettles and are gluten free. The special process used allows to preserve the products in the most natural way. Vinegar is only used as an ingredient in a recipe, not as a preservative. guide Menù in every step along the production process. The Menù production division is like a big kitchen, and most products are made following the seasonal pace of nature. The common denominator of all departments is the pursuit of quality, from the raw material to the finished product. Only the best selected tomatoes turn into Pomodorina. 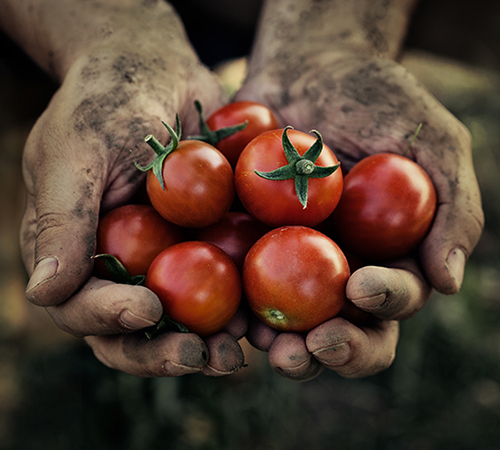 The promise of quality is possible thanks to: a well-established collaboration with producers and farmers’ associations, a strict tomato control system before being processed in our plant, a very short stay in the main yard, the presence of state-of-the-art systems, and Menù’s know-how. 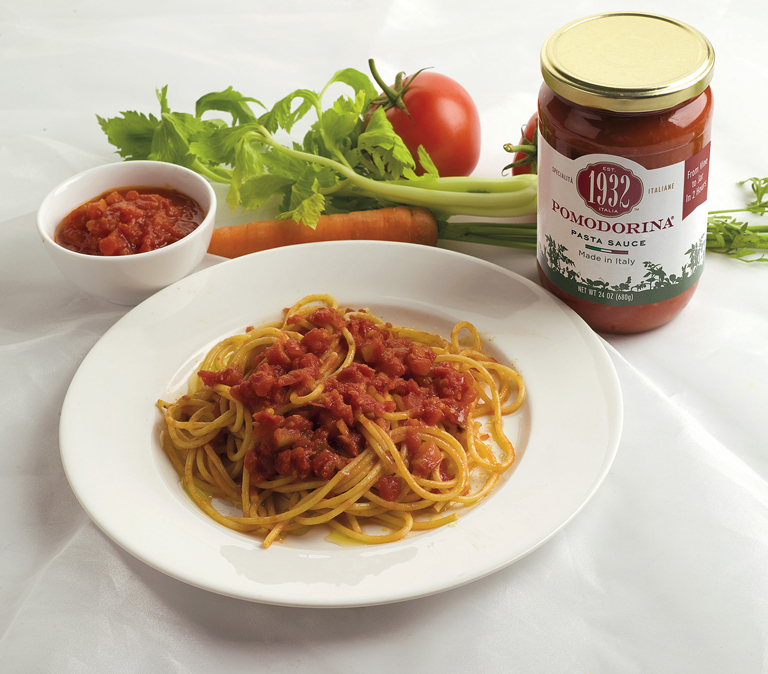 To make our tomato sauces and our Pomodorina we accurately select and use only the best quality tomatoes, 100% Italian guaranteed. The tomatoes mainly come from the Emilia countryside, a few km from the Menù plant; they are harvested from the field when they are fully ripe and sweet and then they are processed. In little more than two hours from harvesting, our tomatoes become Pomodorina Menù! Menù runs an accurate control over all tomato life stages, from farming to finished product. 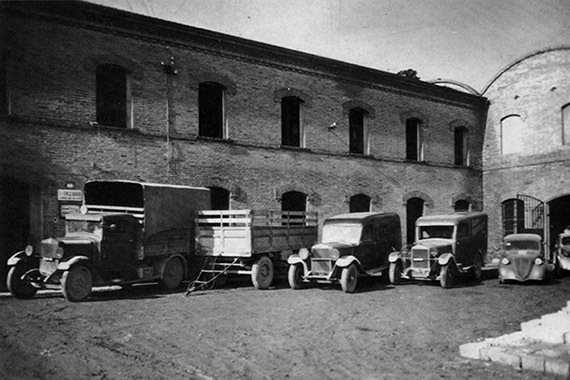 Tradition, memory, local production but also innovation, with over 80 years of professionalism and expertise. Creativity, know-how and taste expertise are some of the key words that guide Menù in every step along the production process. The Menù production division is like a big kitchen, and most products are made following the seasonal pace of nature. The common denominator of all departments is the pursuit of quality, from the raw material to the finished product. 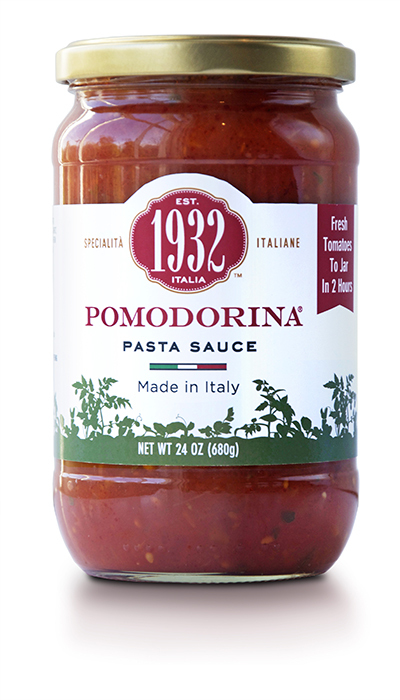 Only the best selected tomatoes turn into Pomodorina. The promise of quality is possible thanks to: a well-established collaboration with producers and farmers’ associations, a strict tomato control system before being processed in our plant, a very short stay in the main yard, the presence of state-of-the-art systems, and Menù’s know-how. 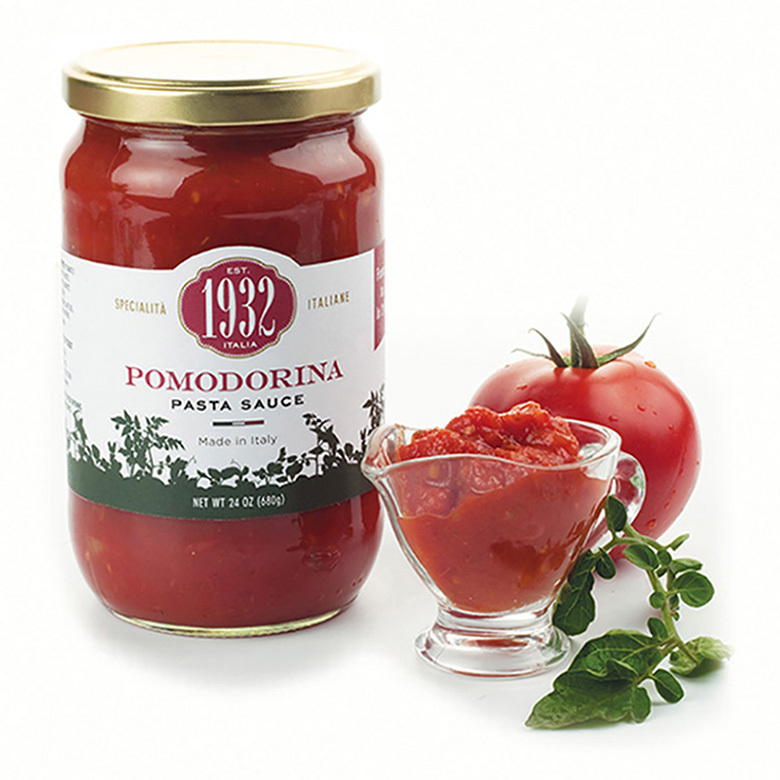 Pomodorina is 1932’s special name for our time-honored family recipe, using tomatoes picked from the sun drenched fields of the Emilia Romagna countryside. Within just two hours, the fresh picked and perfectly ripe tomato bounty is cooked with a delicious blend of Italian vegetables as celery, onion, carrots, herbs and extra virgin olive oil. A quick and easy dish to satisfy and meet all tastes. Cook spaghetti in boiling salted water until al dente. In the meantime, heat Pomodorina sauce in a separate pan. Drain spaghetti and toss the pasta in the hot sauce. Finish with a sprinkle of Parmigiano Reggiano DOP cheese and a drizzle of extra-virgin olive. Serve right away. 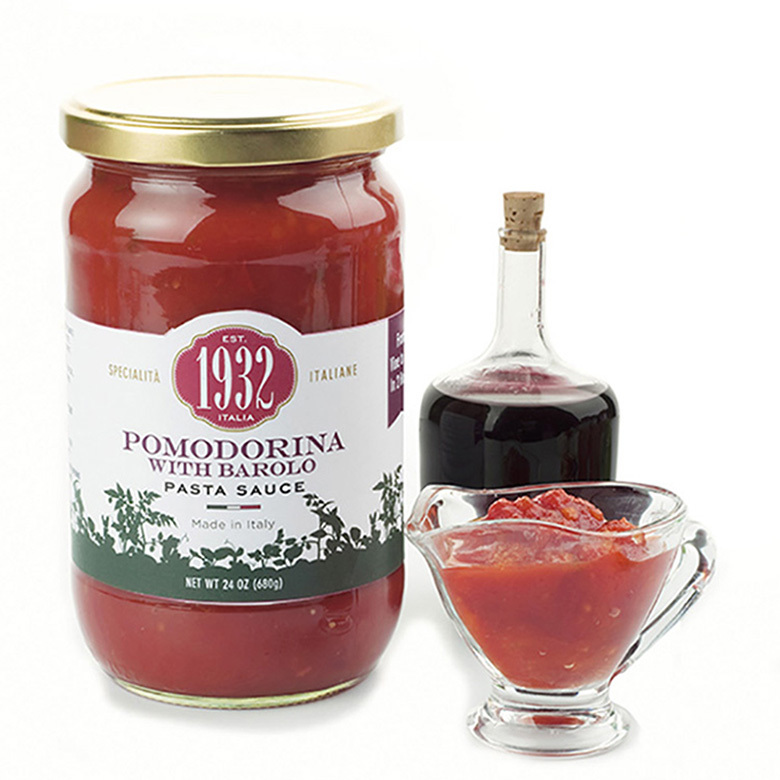 Pomodorina is more than just a simple tomato sauce. Pomodorina ingredients (tomato, carrots, celery, onions and other aromatic herbs) provide a blend of consistency and freshness for this unique Italian flavour. 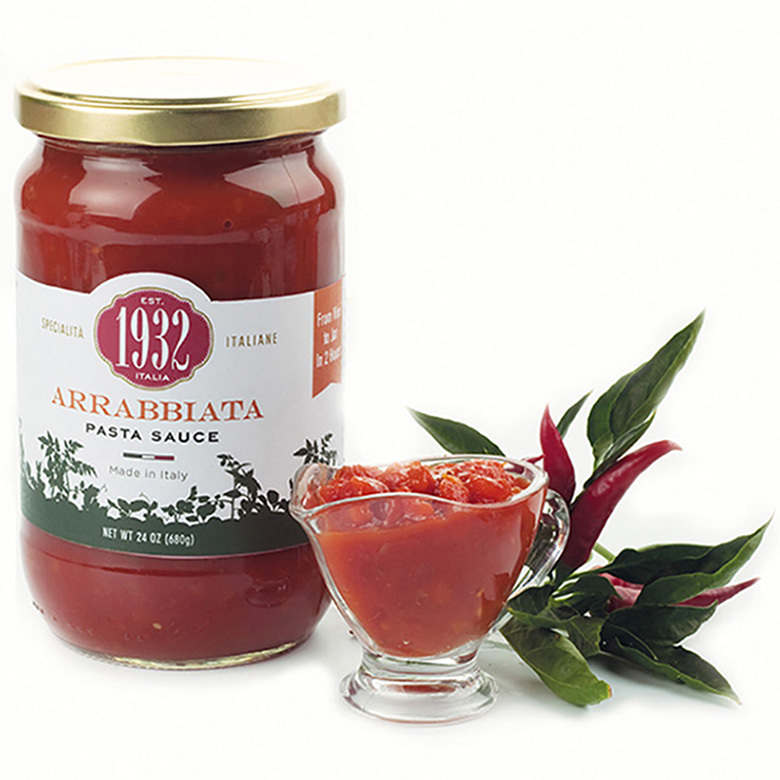 Arrabbiata sauce is a 1932's spicy recipe made from fresh season tomato cooked with a delicious blend of vegetables, herbs, extra virgin olive oil and red chili pepper. 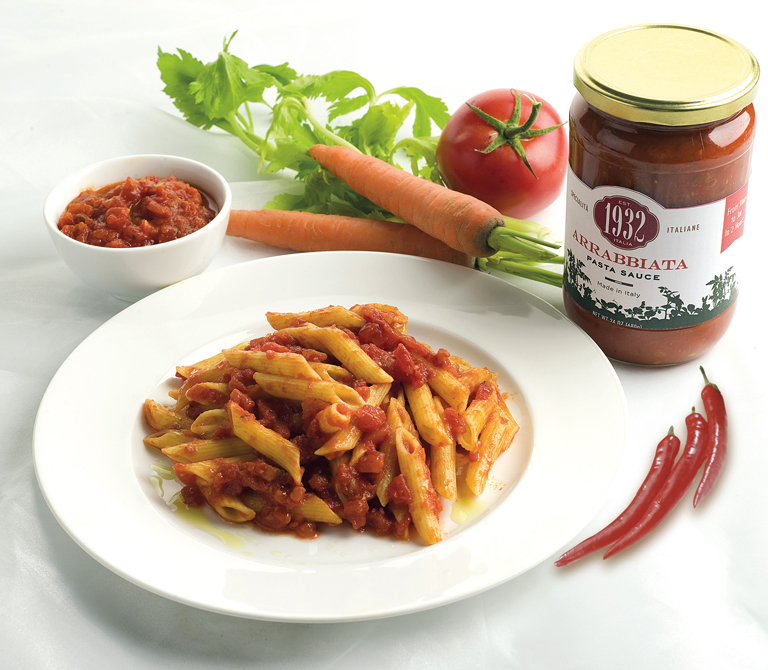 "Arrabbiata" means "angry" in Italian and is a traditional recipe from Rome, the capital city of Italy. A few and simple ingredients to obtain an excellent sauce with a spicy and strong taste to create dishes appreciated all over the world. 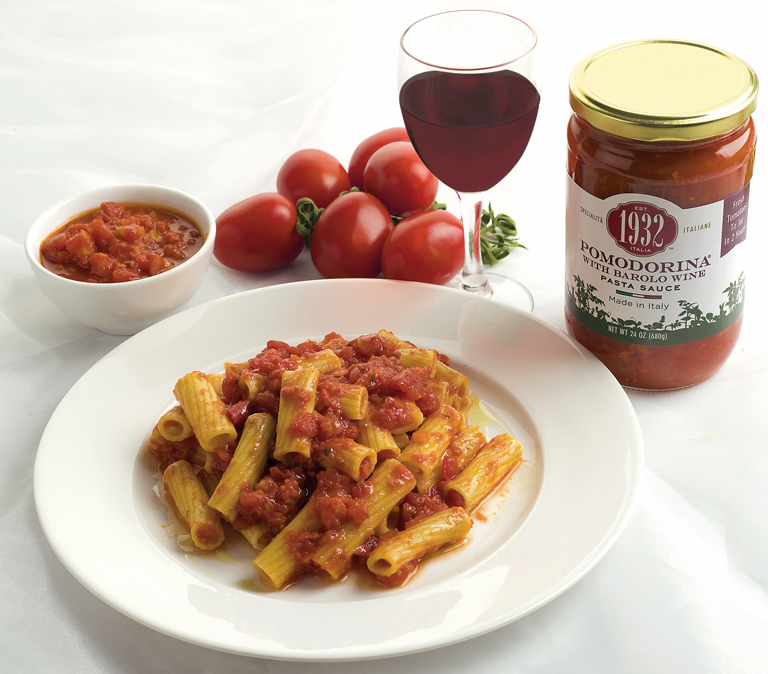 Penne all’arrabbiata, a classic of the regional Roman cuisine, has quickly become an integral part of the Italian culinary tradition. Strong and decisive flavours hallmark this speciality prepared with simple ingredients. Cook penne in boiling salted water until al dente. In the meantime, heat the sauce in a separate pan. Drain penne and toss them in the hot sauce. Finish at will with a sprinkle of crushed chillies and a drizzle of extra-virgin olive oil. Serve right away. Chilli pepper gives the dish a distinctive spicy flavour causing the blushing of the diners' face, the usual appearance of someone who is angry, thus giving rise to the name all’arrabbiata - or angry. Pomodorina with fresh basil is 1932's special name for our recipe, using tomatoes and basil picked from the sun drenched fields of the Emilia Romagna. 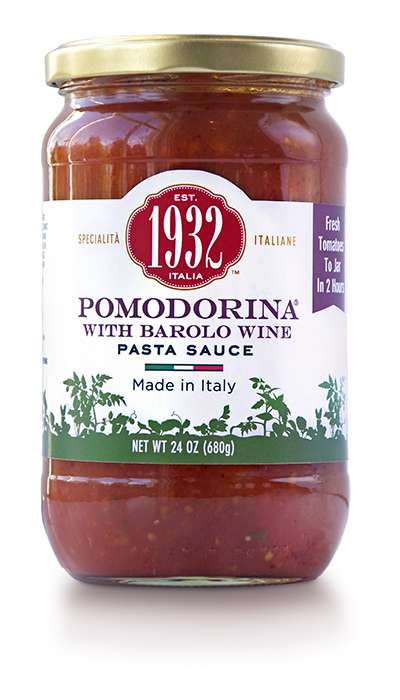 The basis is the 1932's Pomodorina sauce but fresh basil deserves the leading role. Italian fresh basil is picked up every morning in summer. 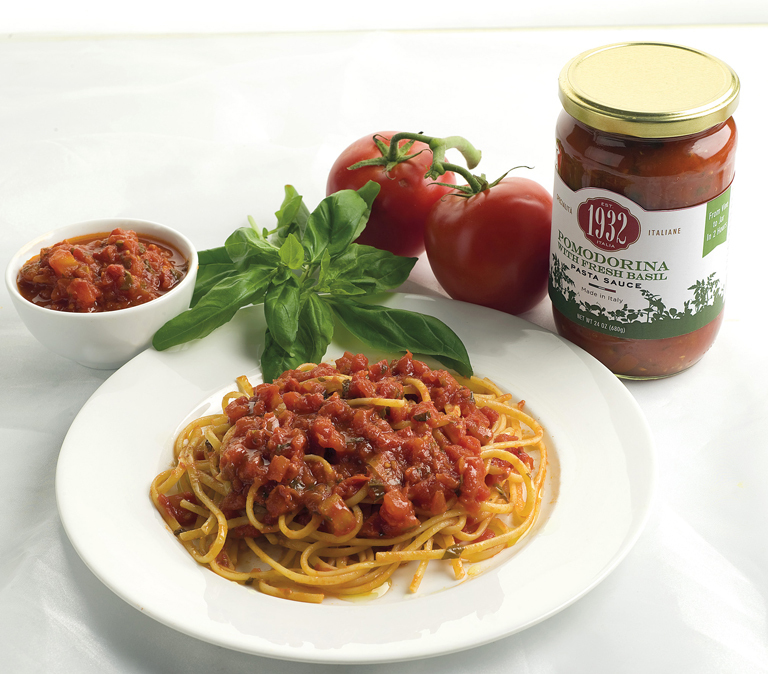 Its aromatic perfume gives a hint of fresh taste to the traditional tomato sauce. 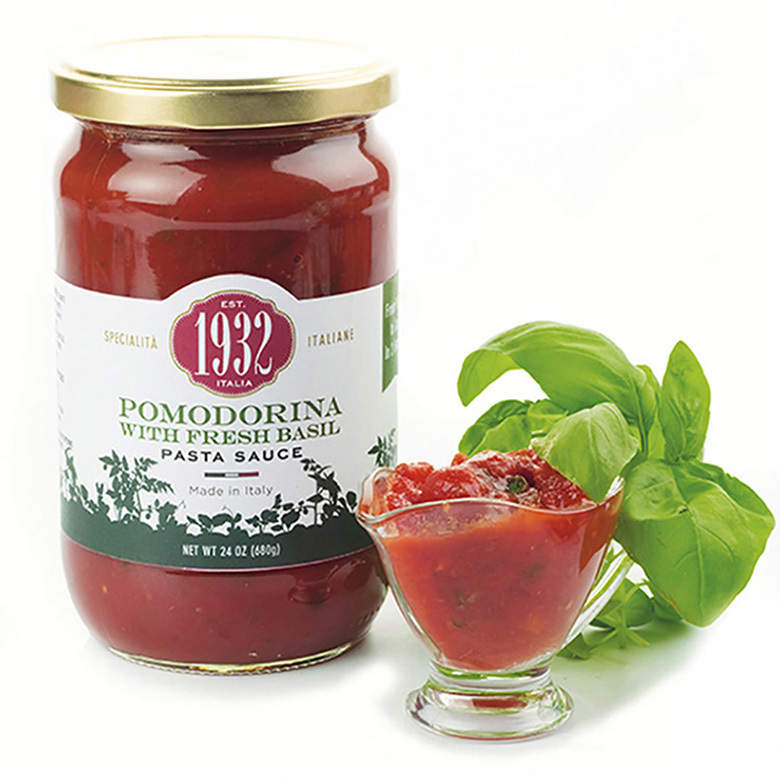 Pomodorina with fresh basil is the Mediterranean sauce par excellence: simple and tasty. Cook trenette in boiling salted water until al dente. In the meantime, heat Pomodorina sauce in a separate pan. Drain trenette and toss the pasta in the hot sauce. Finish with a sprinkle of Parmigiano Reggiano DOP cheese, a chop of fresh basil and a drizzle of extra-virgin olive. Serve right away. The fragrant aroma of the fresh basil gives a touch of freshness and Mediterranean flavour to Pomodorina. This simple recipe never disappoints because so fresh and easy. 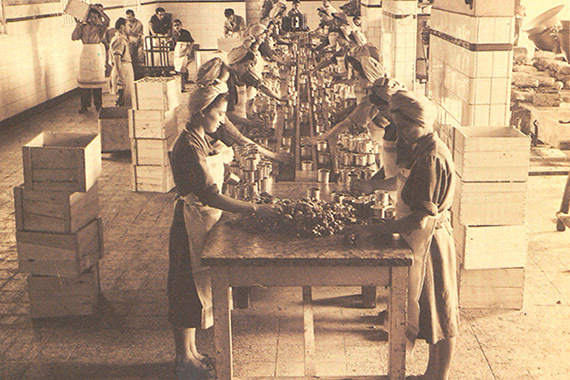 The elegance and excellence of Barolo DOCG join the tradition and freshness of vegetables and tomatoes typical of 1932's Pomodorina production. Barolo is described as one of Italy's greatest wines and is produced only in 11 selected small towns of the Italian region of Piedmont after several months of ageing. Barolo and Pomodorina match perfectly together in order to create a sophisticated sauce ready to accompany main courses. This delicious recipe combines the elegance and quality of Barolo DOCG wine from Piedmont and the freshness of Pomodorina to obtain a perfect sauce for pasta. In a boiling salted water put maccheroni on to cook until al dente. In the meantime, heat the pomodorina sauce with Barolo in a separate pan. Strain maccheroni and toss the pasta in the hot sauce. Finish with a sprinkle of Parmigiano Reggiano DOP cheese to enrich the dish and serve right away. A few simple steps are all you need to cook a tempting and tasty pasta dish able to captivate anyone. Your message didn't send. Try again please! © Menù srl - Industria Specialità Alimentari - REA 00333120368 | P.IVA 00333120368 - Capitale sociale € 1.000.000,00 i.v.